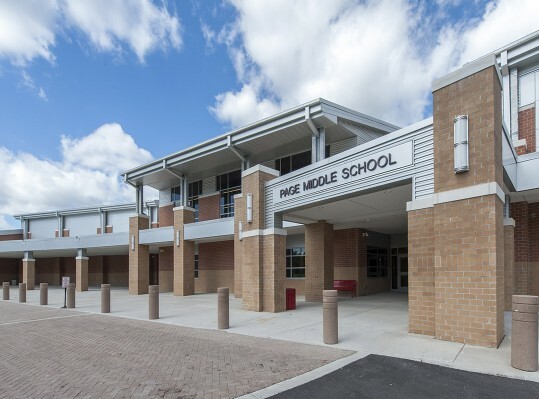 The two-story design of Page Middle School is organized into two zones, a public zone featuring common spaces and grade-level houses. 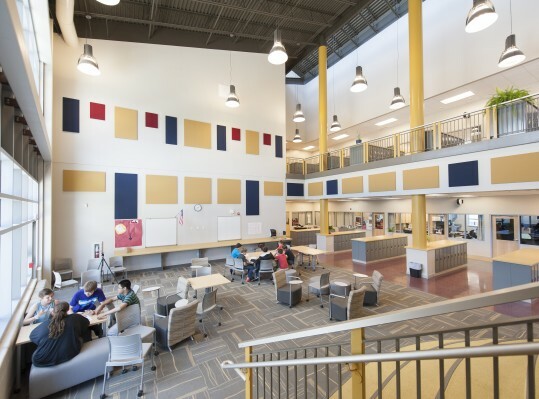 Common spaces are located across the front of the building, while three different grade houses, separated by a “Main Street,” are located along the back. 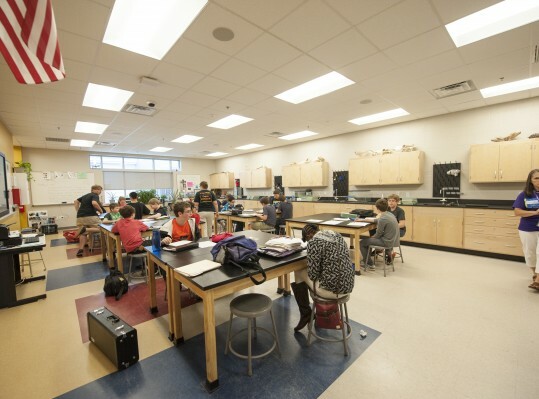 The first-floor classrooms are adjacent to an open and flexible exploratory area used for student collaboration. 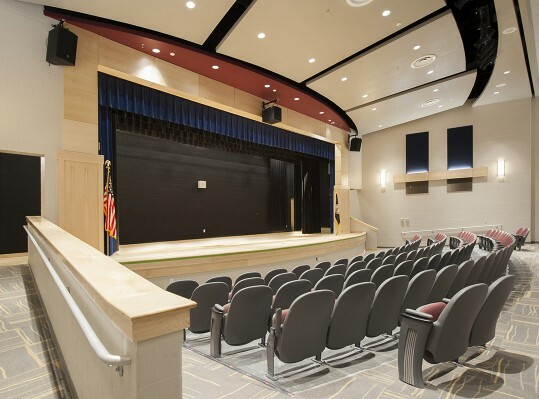 A tiered seating area allows for student presentations and is large enough for multiple classes. 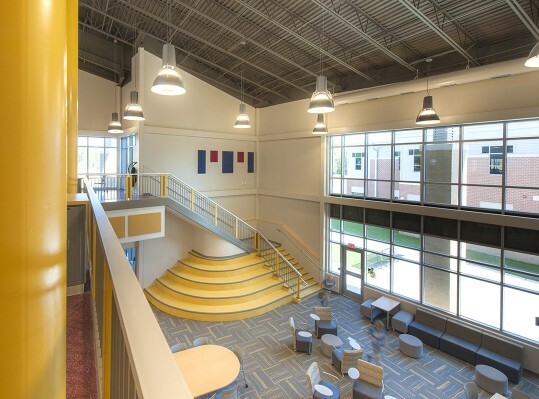 Classrooms are located on the upper floor with circulation space overlooking the first-floor exploratory spaces. 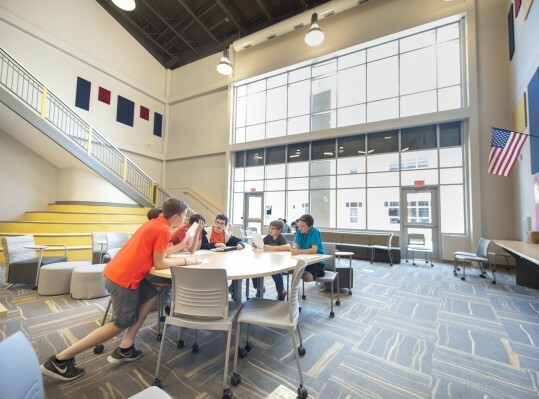 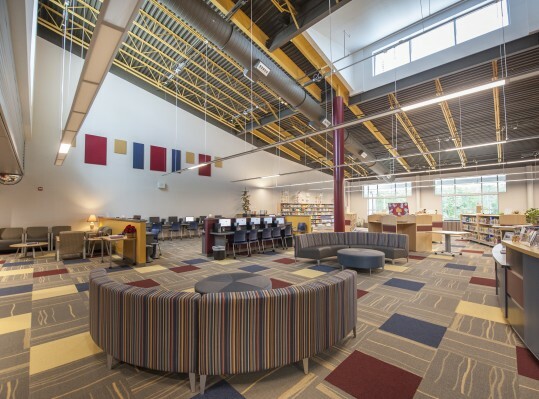 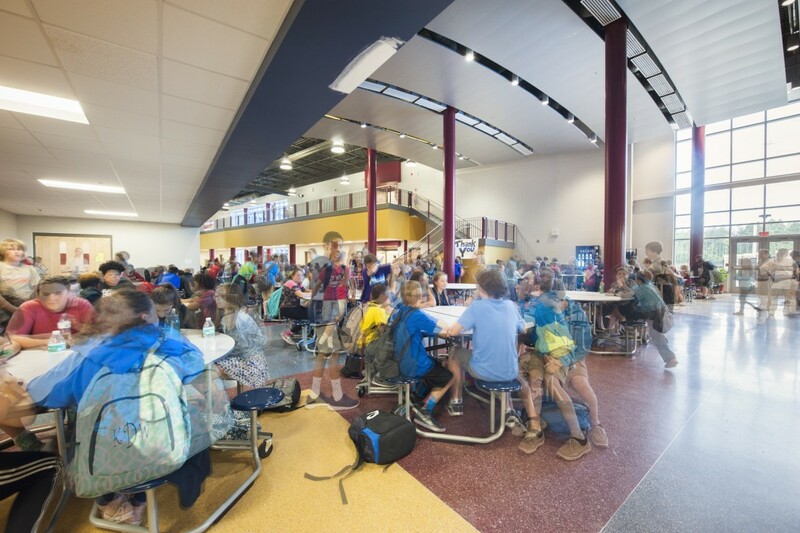 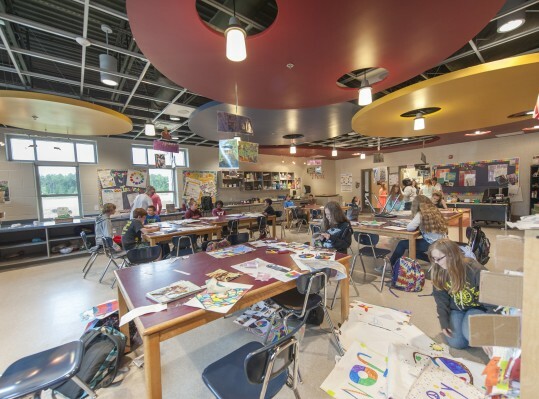 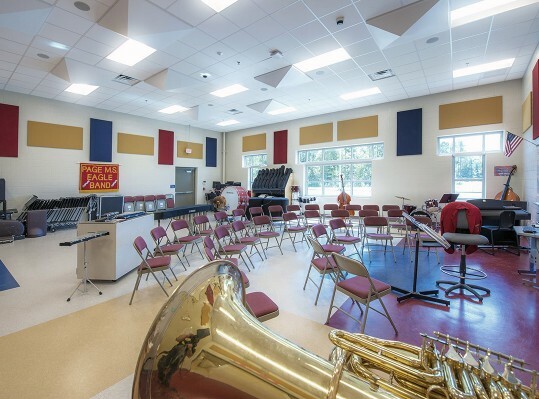 Electives are located along “Main Street,” which allow students from different grades to access the space without having to enter other grade houses. 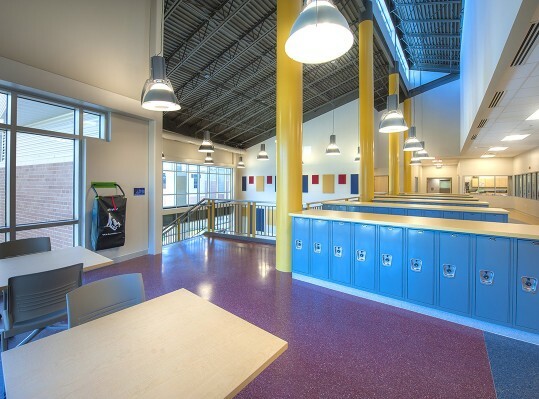 The second-floor media center is centrally located and above the administration suite. 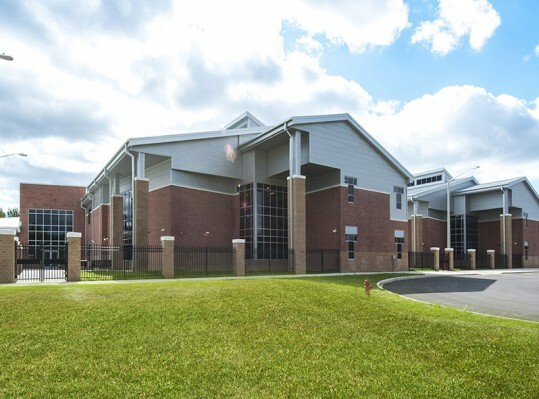 The school’s administration is focused on a healthy lifestyle for their students and staff, so in addition to a gymnasium, the building includes a fitness room adjacent to the dining commons. 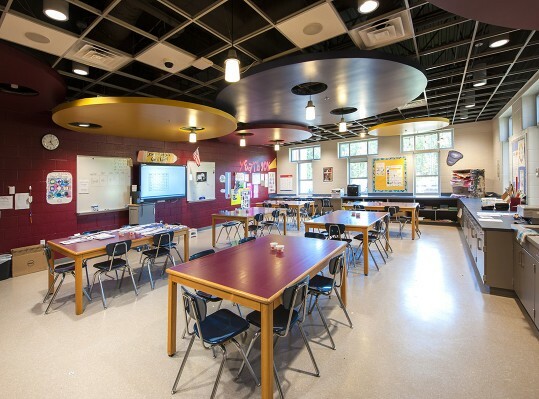 This allows the PE Staff to incorporate the use of the fitness room into their curriculum all year long.